Tracing a group of ruthless outlaws from its genesis during the American Civil War all the way to a final bloody stand in the Oklahoma territories, The Winter Family is a hyperkinetic Western noir that reads like a full-on assault to the senses. Spanning the better part of three decades, The Winter Family traverses America's harsh, untamed terrain, both serving and opposing the fierce advance of civilization. 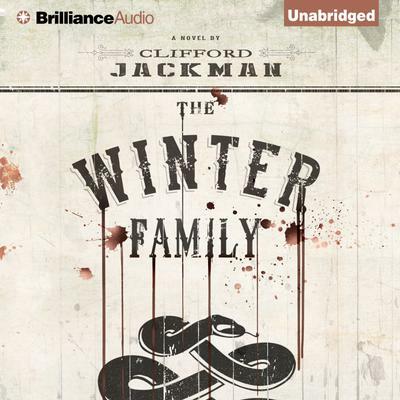 Among its twisted specimens, the Winter Family includes the psychopathic killer Quentin Ross, the mean and moronic Empire brothers, the impassive ex-slave Fred Johnson, and the dangerous child prodigy Lukas Shakespeare. But at the malevolent center of this ultra-violent storm is their cold, hardened leader, Augustus Winter—a man with an almost pathological resistance to the rules of society and a preternatural gift for butchery. From their service as political thugs in a brutal Chicago election to their work as bounty hunters in the deserts of Arizona, there's a hypnotic logic to Winter's grim borderland morality that plays out, time and again, in ruthless carnage. With its haunting, hard-edged style, The Winter Family is a feverishly paced meditation on human nature and the dark contradictions of progress.